Many people still wonder if there are any healthy fats, especially those on special diets due to adrenal fatigue. In the last few decades, more and more evidence is showing that fat is healthy and an important part of the diet. The difficulty is trying to find out what kinds of fat are healthy, and where you can find them. Fortunately, there are many wonderful healthy fat sources in foods that are probably already in your kitchen, that are good for everyone and especially those who have adrenal fatigue. Fats, however, have been maligned in the news, by health gurus, and even by prestigious health associations for decades. In the last 5 to 10 years, though, there has been a major shift of attitudes towards fat – and with good reason. First, research studies began showing that hydrogenated fat was harmful. Hydrogenation is the chemical process of adding hydrogen into omega-6 polyunsaturated oils so that they remain hard at room temperatures. When hydrogenated fats were eaten, they covered the receptor sites for the essential fats, thus effectively blocking the absorption of these essential fats. This meant it was possible to end up with essential fat deficiencies. Secondly, essential fat deficiencies caused all sorts of problems for the body, including dry eyes, vision problems, inflammation, dry and scaly rashes, poor wound healing, impaired learning and memory, and many other symptoms. 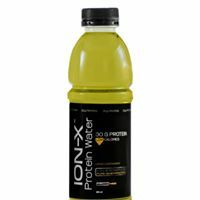 and helps restore gut bacteria. Then, the Paleo Diet movement along with the Weston Price Diet increased awareness of healthy fats. Individual reports started appearing on social media as well as the internet mentioning people that felt much better when they were eating a larger proportion of healthy fat sources in their diet. Finally, the connection between a low-fat diet and low levels of testosterone and other reproductive hormones brought about an unexpected trend. Many people in the prime of their life had hormone levels that were low enough to become a serious problem. This came with the realization that eating very little fat in the diet could cause unforeseen health problems. Attitudes towards fat have gone through an important reversal in the last few decades. Though once all fat was demonized, science has realized that it is very important to look at different types of fat and fat sources before deciding how healthy it is. 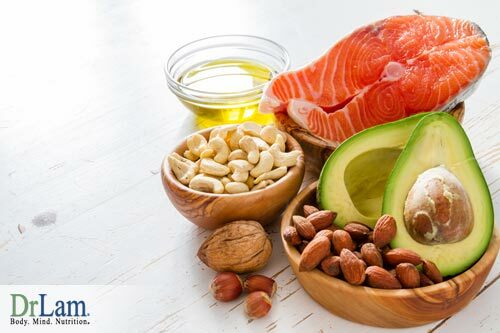 The following six different foods are high in healthy fat, and show how this essential nutrient builds both overall health and the health of your adrenal glands to help you better cope with stress. The issue many food gurus took with eggs in the past was because of the cholesterol content of the yolk. With 213 mg cholesterol in one yolk, eating two eggs per day exceeded the recommended daily amount of 300 mg by the 2010 Dietary Guidelines for Americans. This meant eggs weren’t recommended for breakfast. Prior to this, eggs were always thought of as a healthy food that contained fat and proteins. The fear, though, was that the cholesterol and fat in eggs would bring on heart issues. Studies now show that eating eggs daily, however, is not related to the presence or absence of heart disease. The current recommendation is that only people who have a hereditary condition with elevated levels of blood fats should watch their egg consumption. For these people, only one egg is recommended a day. What we know now is that the idea that eggs were bad ignored the whole picture. Eggs contain high protein, healthy fat, and many important vitamins and minerals. They are high in DHA, one of the healthy types of omega-3 fats. Eggs also contain the carotenoids lutein and zeaxanthin, which are exceptionally helpful for clear vision. These two nutrients filter out any harmful wavelengths of the sunshine you are exposed to daily, according to the American Optometric Association. One large egg contains 35% of the day’s requirement for choline, which keeps the liver free of accumulated fats that lead to cirrhosis. 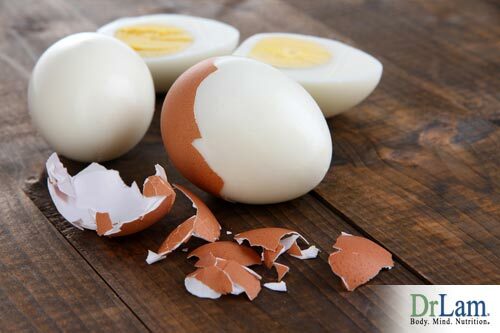 One large egg also provides the body with 27 to 28% of the requirement for selenium and biotin. Deficiencies of both of these nutrients cause hair loss. Eggs are also a source of vitamin D, an important nutrient for boosting immunity. One egg contains 43 IU vitamin D, and although this is well below the recommended daily level of 800 IU or more, it is one of the highest sources of vitamin D naturally occurring in foods. The immune-boost from vitamin D is especially important for those with adrenal fatigue. Eating eggs daily when you’re suffering from adrenal fatigue is a good way to provide your body with high-quality protein as well as healthy, high-quality fat. Starting your day with two eggs could help speed recovery from adrenal fatigue. Try eating those eggs raw, soft boiled, or over-easy as much as possible. Don’t be afraid to add a little salt to the food; salt benefits the adrenals. Consider eggs a good source of healthy fat, protein, vitamin D, and important nutrients. The type of fats in olive oil is called monounsaturated fats. These fats are not as stable as saturated fats, but they also are not as unstable as the polyunsaturated fats. Refined olive oil has a high smoke point that makes it an oil good for cooking. On the other hand, extra virgin olive oil is good for salads and dressings. One thing to consider for adrenal gland health is that you must decrease your stress daily. Stress comes in many forms, and one of them is physiological stress. When aberrant things are occurring in your body’s metabolic and biochemical pathways, then there’s going to be physiological stress in your body. Every abnormal metabolic pathway you can correct will cut down on your physiological stress, and thus spare the adrenals. For example, if you have high cholesterol and high blood sugar levels, doing what you can to these normalize these levels will indirectly boost your adrenal gland function. 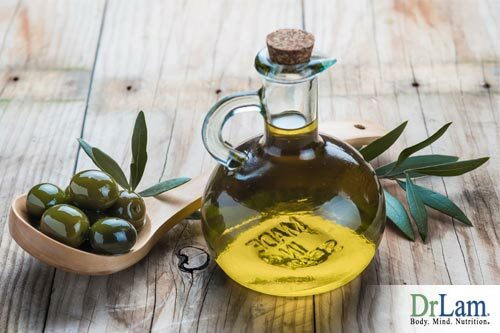 And by adding olive oil to your diet, you provide your body with a healthy fat source that can help reverse any issues with high cholesterol and high blood sugar. It won’t be enough to totally eliminate the problem, but every little step helps. Avocados are high in monounsaturated fats, especially oleic acid, which have an important role in heart health. 68% of the fats found in an avocado come from monounsaturated fat. Avocados are also good sources of healthy fats like phytosterols, which have anti-inflammatory benefits. In addition to healthy fats, avocados provide a variety of vitamins and minerals, including B vitamins, vitamin E, and vitamin C.
On an adrenal building program, however, make sure to limit your avocado to ¼ or ½ avocado daily, simply because of the high amount of potassium they contain. Those with adrenal fatigue could have high levels of potassium. Fish is a great source of protein that contains healthy polyunsaturated fats, such as omega-3, which can help improve heart health and prevent heart conditions. Fish consumption has been shown to reduce blood pressure, hardening of the arteries, and the risk of heart arrhythmias. The high levels of protein in fish also assist your adrenals in reducing stress. There are a few cautions about fish, though. Fatty kinds of fish, such as swordfish, mackerel, herring, shark, trout, and tuna, are high in mercury which causes a variety of health problems. Mercury accumulates in the body over time, removing selenium from the body, which is attempts to counter the mercury. 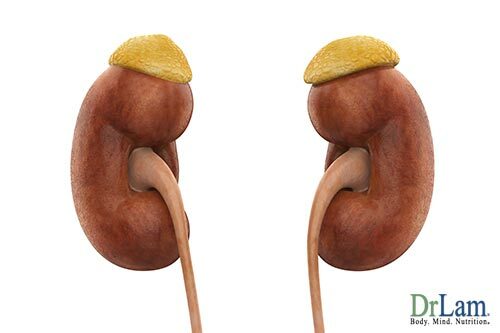 Mercury is an added stress to the adrenal glands. Also, try to avoid fish from polluted waters. For example, the Pacific Ocean has high levels of radiation which enters the bodies of ocean inhabitants, the fish, and contaminates humans who eat them. These are NOT healthy fat sources. Try to eat fish only a few times a month, unless it is from a healthy source. When you do find a good source of fish, smile. You’re eating a food with healthy fats. Nuts are a good source of polyunsaturated fats. Studies have shown that after consumption of nuts, blood fat levels of those with unbalanced cholesterol seem to return to how they should look for those with healthier levels of LDL, and HDL, and total cholesterol. 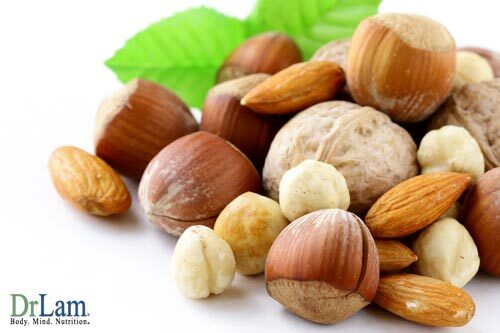 The most difficult part about eating nuts is trying to eat only a handful a day of these tasty healthy-fat foods. Eating only a handful of nuts should give you just the right amount of calories, avoiding weight gain. Nuts also help the adrenal glands, especially if you can sprout the nuts. Almonds are particularly helpful. To do this, soak raw, organic nuts in pure water overnight in a bowl. The almonds will sprout to twice their size, and be beaming with B vitamins to nourish the adrenals. These are healthy fat sources. The medium chain fats in coconut are beneficial to the body in every way, especially for those who have eaten commercial‐fed meats and poultry for a long time. If this is you, you may be missing these important fats in your diet. 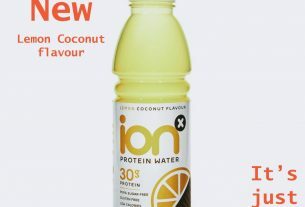 Coconut also boosts immunity with its natural anti‐microbial properties, which indirectly helps boost adrenal health. These six healthy fat sources, eggs, olive oil, avocado, fish, nuts, and coconut bring important nutrients to the diet and have excellent effects on overall health. Adding healthy fats to the diet is worth it. There’s not much to lose, and everything to gain.